Every personal trainer tends to hear the same questions from clients again and again. One of the first questions that most people ask is whether they should tackle cardio exercise or weight training first. Not everyone can exercise as often as they would like, so it’s not uncommon for people to do their cardio and weight training exercises in the same day. 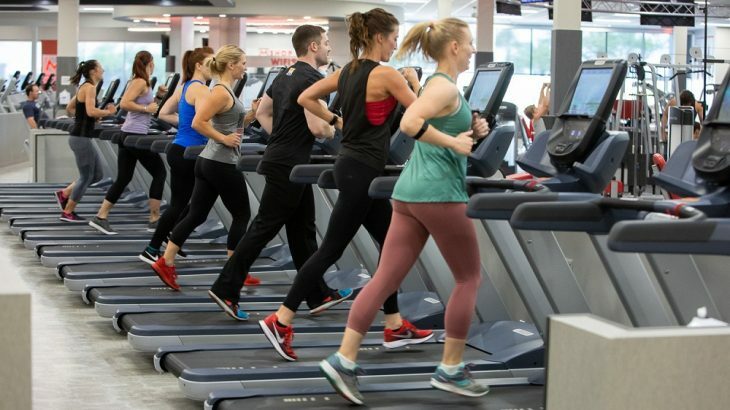 Most fitness centers try to accommodate their clients, so doing both weight training and cardio is made as easy as possible. Since you obviously have the option, but not always a lot of time, which should you do first? It may sound like a simple enough question, but experts are often split on the issue. Most fitness experts believe that you should hit the weights before you head to the treadmill or rowing machine. Why is that? The theory is that cardio depletes the stored glycogen that your muscles require to fuel your workout. If you do your cardio first, it eliminates much of the energy that your muscles need, before they have a chance to put it to good use. This renders your weight training less effective. On the other hand, if you use your glycogen for your weights first, you could optimize the fat burning from your cardio. It would force your cardio exercise to burn fat for fuel. At least, that’s the theory. There is no credible, concrete research that supports this idea. So, while it sounds good in concept, there’s no scientific consensus that supports this approach. First and foremost, you need to decide what’s most important for your goals. Do you want to build endurance? Are you planning to compete in a marathon or triathlon? If that’s what you have in mind, you should focus on your cardio first. It’ll help build your endurance and that stamina is vital for those sorts of competitions. Weight training simply won’t be able to give you the results that you need. Of course, not everyone is conditioning to be an endurance athlete. Some people want to focus on muscle. They’re more concerned with how much they can lift than how many miles they can handle. If you’re less or a runner and more of a lifter, you should do your weight training first. As a rule, you should focus on the most important aspect of your exercise regimen. If that means that some days you don’t have enough energy left to handle cardio after weights, that’s fine. If you’re concentrating on endurance, the opposite is also acceptable. Target what matters most for your personal goals and put your effort into that before you become fatigued. There are a number of cardio exercise classes in Phoenix, AZ, that can help get you where you want to be. The bottom line is that you should focus your effort and your time on what means the most to you. You need to be happy with your progress and the results that you see. That’s how you stay motivated.